I’m new to the studio, how do I sign up for classes? Jenstar Movement Studio requires advance sign-up online prior to attending. This helps make your studio experience smooth and effortless, and in addition we do cap class size for quality assurance. When signing up: please fill-out the required information in case we would have to get ahold of you beforehand. If you are reserving for someone else under your account, sign your guest up first, then yourself second. If you are unable to sign-up online, please call/email to make arrangements before hand. We will do our best to accommodate. For new clients, you have the option to select 2 weeks of unlimited yoga only for $20, or any 3 classes for $27 (must use in 30 days). Drop-in classes are $17. We ask that new students come about 10 minutes early to check-in and get settled. Please bring everything you need, especially, water and sweat towel with you. 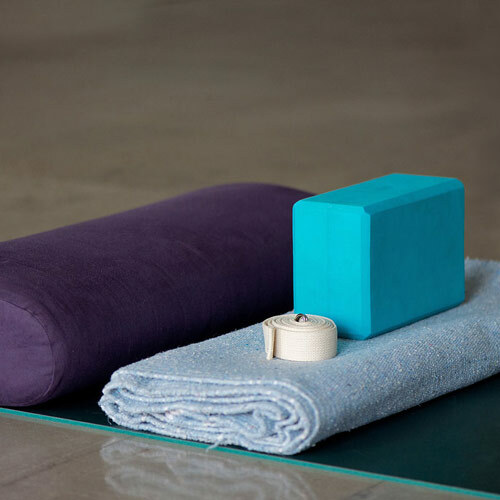 If you don’t own a yoga mat, we have some at the studio. 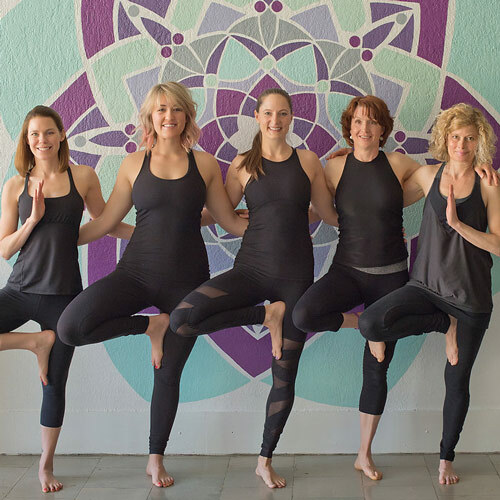 Jenstar Yoga has a small retail selection of lululemon athletic wear, Moon Deck Cards, Yoga Mats (The Mat by lululemon), and other specialty items. What should I bring with me to classes? When attending the studio for the first time, it is always a good idea to come about 10 minutes early to check-in and get settled, and wear comfortable athletic clothing. Barre Classes: water bottle, yoga mat, sweat towel, bare feet (or sticky socks). Yoga Classes: water bottle, yoga mat, sweat towel, bare feet. Dance Classes: water bottle, sweat towel, bare feet or sneakers/clean shoes. Please NO street shoes! Cardio + Boot Camp Classes: water bottle, sweat towel, clean shoes unless instructed otherwise. Please NO street shoes! We have water available for $2. The only classes that has a specific age requirement is our beginner and intermediate Adult Dance classes. You must be 18+ to participate. For other classes, you are welcome to sign-up and bring your child with you to class if they have a general interest to participate, and are not distracting for other members. We have had students as young as 8-10 (accompanied by a parent) and many teens come with a friend or two. Where do we park and enter? Jenstar Movement Studio is located in Nicolet Square in West De Pere facing Main Avenue. We do not use the Main Avenue entrance, so all participants are asked to park and enter from behind the building in Nicolet Square. We are next to 416 Cuisine cooking school. There is a Jenstar sign out back in the courtyard. I’m a total beginner, what classes should I start with? For most of our classes, beginners will jump in and get their feet wet! We do have a beginner specific adult dance class on Tuesday nights, and beginner yoga Wednesdays at 5:00pm. If you have any concerns, please contact us before your scheduled class and we will answer any questions you may have! When you check in to class, talking out your concerns with the instructor can be helpful as well, we can show you modifications if needed. How HOT is Heated Vinyasa Yoga? We do not consider our classes “hot yoga”. The core temperature of the room during a heated class is around 85-87 degrees with some air flow. In the humid summer, it might reach 90 degrees. The warmth of the room paired with deep pranayama (breath) will make for a sweaty practice vs a non-heated class (temp between 73-75). We encourage participants to work at their own pace and take breaks as needed. What happens if I am put on a waitlist for class? If you are joining the waitlist- please make sure in your account settings that you are signed up for email/notifications! The waitlist will notify participants by EMAIL ONLY. It will stop enrolling waitlist participants 2 hours before class so that everyone has a fair shot to make other arrangements. Important: If you are input into class from the waitlist and fail to show- you will be charged! We enforce this policy. Are there any policies or information that I should be aware of? All classes and packages do expire and are final sale! Here are the following expirations: single class (30 days), 5,10, and 20 packs (8 months), unlimited pack (30 pays from first class used). We have it in our online communication and you will see the details on your printed receipt. Please select a pack that will allow you to be able to use the classes within the specific time frame. Special event classes and workshops are final sales as well, and can not be refunded if you can not attend. All re-occurring weekly class cancellations must be made 3hrs before the start of class. If you fail to cancel, you will be charged. Everyone has access through their online sign-up profile to adjust their schedule and cancel. Workshops and specialty classes/events do not have a cancellation window- if you can not make it, you will be charged due to the nature that it is a “one time” occurrence. Please be mindful around this. No cell phones in the classroom please! It is rude and distracting to the teacher and other students. The only people allowed to bring in a cell phone are those who are on call for their jobs. If you are on call, please alert the teacher before class so there is mutual understanding. We want you to connect with yourself- in the moment is where the magic is!